This fitted women’s blouse is a feminine semi-casual blouse that you will love. This blouse pairs perfectly with jeans, slacks and skirts of all lengths. It was designed with a long, figure flattering style that gives the illusion of an elongated figure It features a vee neckline and gathers down the front of the fitted bodice. The sleeves are long and snug. 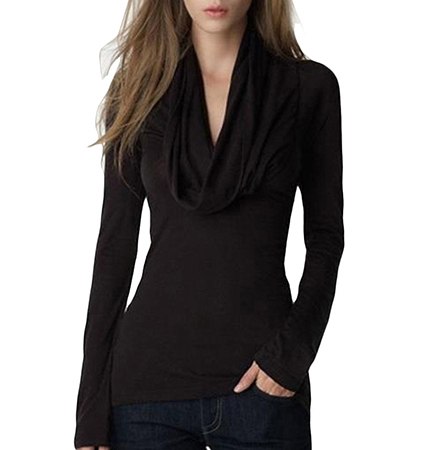 This blouse is presented in solid black. It is machine washable in cold water and may be tumbled dry on a low temperature setting. It is available for purchase in sizes Small, Medium, Large and Extra Large.